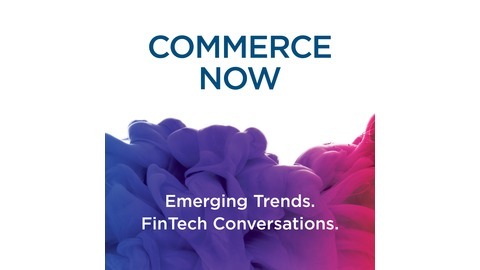 A Podcast dedicated to topics impacting the world of connected commerce & consumer centric solutions for banking to retail and all the payments and Fintech in between. 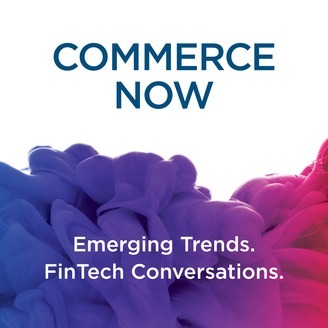 In this episode of COMMERCE NOW, we are joined by Steve Gotz of Silicon Foundry, and we discuss how banks are increasingly creating new environments and structures to pursue innovative ideas and build new capabilities. We explore one specific kind of innovation structure: the Venture Studio (also known as a Company Builder). Amy Lombardo: Hello again to our listeners. This is Amy Lombardo, your host for this episode of Commerce now. Today I am joined once again by Steve Gotz, of Silicon Foundry, who is a known expert at helping organizations navigate the complex world. Amy Lombardo: So today we're going to discuss how banks continue to increase and create new environments and structures to pursue innovative ideas and build new capabilities. Amy Lombardo: So Steve, welcome back to COMMERCE NOW. Steve Gotz: Hey thanks Amy, excited to be here. Amy Lombardo: Great. So it's been couple months here since we spoke last. So what have you been up to here lately? Steve Gotz: So, just quick refresher for everybody, my background. I spent a long time launching new ventures for corporations. I've done that as an investor, an entrepreneur, university researcher, and a corporate executive. And most recently I was co-founder and COO of Pivotus Ventures, which was a venture studio I created with Ray Davis at Umpqua Bank. And coincidentally was acquired by Kony recently. Steve Gotz: Currently a partner at Silicon Foundry, where I advise large corporations on their new venture strategies. In that role that we're talking about some of the ideas today. Amy Lombardo: Got it. Okay. So in our last podcast we focused more on transformation strategies. We gave examples, both from banks and even other industries on when they kind of when they hit that wall, that roadblock, and how they partnered with new and other types of organizations [00:01:30] to think about what's next. Amy Lombardo: So let's shift our conversation here and talk about what an organization knows they need to transform. Kind of this idea of migrating to a new business model, a new environment, and really the intent of Venture Studios. Amy Lombardo: So maybe we can start with discussing the evolution of this idea of like the Accelerator Business Model. Steve Gotz: I think Accelerators is an interesting place to start. So Accelerators, as we know them [00:02:00] today, have been around for about a decade. And they were started during this rich period of famense, right? So it was 2005, a couple years after the dot com bubble. And in many ways, the Accelerators that started back then, and that was Y Combinator, Techstars, would be great examples, they laid the foundation of what's to come today, right? Steve Gotz: And Y Combinator recognized that there were some economies of scale to be had by launching start-ups in a different way. And the Accelerator Model [00:02:30] is young teams, lots of bets, and a little bit of money. And when you do that well, you get really interesting companies. Steve Gotz: And that's what we've had for the last decade but I think what we're seeing now, is things are starting to change. Technology is starting to change. Corporate strategy is starting to change, which is why now we're starting now to talk about the rise of Venture Studio. Which is a new forum that organizations are using to build new things. Amy Lombardo: Mm-hmm (affirmative). So does the Accelerator Business Model, does it kind of [00:03:00] compliment the Crowd Storming Idea? Steve Gotz: Yeah. So, Accelerators as they started a decade ago, really about bringing young teams together to pursue big opportunities. And at that point if you think about it, right after the dot com burst there was a lot of opportunities so there was a lot of opportunities that the infrastructure had been laid to build things in a cost-effective way. So companies are using Accelerators as part of their innovation strategies. Steve Gotz: Now what's happened in the last decade is [00:03:30] a lot of that low-hanging fruit has gone away. The ability to launch a business to scale quickly. The dynamics are slightly different in the current day and age. Because startups need data, they need distribution, they need access to capital. So what we're seeing is that traditional Accelerator Model evolved into the Studio Model. And Studios are different in a couple new ways that we can talk about them but we're entering this period of change when it comes to innovation strategies. And the Studio is just one manifestation [00:04:00] of the change we're seeing. Amy Lombardo: So talk to me a little bit about this change. Dive into that for me and just kind of talk to me about why and how. Steve Gotz: So I think, in Silicon Valley, the era of "Move Fast and Break Things," is over. I think what we're starting to see are more diverse teams, in a broader sense, gender, age, background. I think there's a recognition that launching new ventures requires a diverse skillset. And it needs new kinds [00:04:30] of partnerships. Steve Gotz: Launching a start-up by itself as an Accelerator doesn't work as efficiently as it could. Launching a new start-up in collaboration with a corporate that gives you data, that gives you distribution, that helps you access customers. That's really powerful. Steve Gotz: So what we're seeing is more and more start-ups. More and more entrepreneurial teams and Venture Studio is coming together, launching new ventures in collaboration with corporates. And that's a really interesting dynamic that we're starting to [00:05:00] observe. Amy Lombardo: So is it still in these high-tech areas like Silicon Valley? Or where is the Venture Studios? Where are you having the most luck? Steve Gotz: Hmm. So this is what's really interesting, right? So Accelerators largely, when they started, were concentrated in Silicon Valley, right? Y Combinator, in the Valley, Techstars in Colorado. What we're seeing with Studios is a dispersion, right? We're seeing Venture Studios crop up [00:05:30] across the country, across the globe. And oftentimes they're locating themselves close to large corporations. Steve Gotz: So, High Alpha, one Venture Studio, and they're located in the Midwest. Primarily because the companies that they're building new ventures with are in the Midwest as well. There's another studio in Seattle called Pioneer Square Labs and they're up there and they're looking at really interesting consumer ventures, direct consumer ventures. Steve Gotz: [00:06:00] So I think you're seeing the capabilities moving to the most natural place. And that may not be Silicon Valley. That may be somewhere else across the globe. Amy Lombardo: So even though these corporations might be in these major metropolitan areas, is the talent there as well? Or are these innovators being found then all over the world based on what the need there is? Steve Gotz: Yeah, so, it's across [00:06:30] the world, right? Steve Gotz: It's where is the need? Steve Gotz: And it's launching ventures as close to the need as possible, right? Steve Gotz: So a good example would be Heidelberg Cement. So, Heidelberg is one of the World's largest cement companies. They have operations in virtually every continent. And they're launching a Venture Studio and what they're doing is really smart. They're building new ventures in country. Steve Gotz: So the problems that you have with cement distribution, say, in Latin America and Brazil, [00:07:00] are fundamentally different than some of the challenges you have in a place like California. So it's natural to take your best people and put them at the edge. Put them close to those problems and say, "solve these problems and do it different ways." Amy Lombardo: Right. So clearly I know nothing about cement, so I can't even think of the next question. Steve Gotz: Nor do I.
Steve Gotz: But think about this, right. Because there's a lot of similarities between the cement business and the banking business. [00:07:30] Right? Amy Lombardo: Oh both are important, here we go. Let's get what you're going to say here. Steve Gotz: So look. These are both largely commodity businesses, and they're easily swappable, right? You could get a bank account from Wells Fargo, B of A, or any one of the 7,000 or 8,000 banks in America. And largely the product is the product. What can you do with that? Steve Gotz: You can innovate around that experience. That's what Heidelberg is doing and that's what most banks are doing today. They're innovating around the experience. [00:08:00] And to innovate around the experience you need to be close to your customers, right? Steve Gotz: So creating a banking experience, or a cement experience, in Brasil, is fundamentally different than the kind of banking, or cement experience you want to create in California, right? Did that work? Amy Lombardo: Wow, wow. Okay. I'm a believer. Because if you were going to go down some path of like brick and motor cement shops closing, I was going to be like, "we're going to be [crosstalk 00:08:28] now because we're not even [inaudible 00:08:33] here." Steve Gotz: [00:08:30] And this is why I think banking executives can learn a lot by expanding the aperture and looking outside of the industry for best practices. And it just so happens that what I'm setting is in cement, but we also see interesting things happening in food, interesting things happening in agriculture, right? Steve Gotz: So I think there's more that we can learn like breaking down some of the silence and sharing ideas. Amy Lombardo: Okay so let's go to some examples. [00:09:00] Let's jump ahead there. Amy Lombardo: You know for people unsure of our business model is, we're working with banks and retailers, can you give me any specific examples of Venture Studios working with banks and retailers? Steve Gotz: Yep. Yeah so there's a couple of really interesting examples. So, yeah, one of the ones you know, springs to the top of my mind is what BBVA has done with Dennison. So, three years ago BBVA hired an entrepreneur and said, "we want to build a new business." Steve Gotz: They didn't tell them [00:09:30] where he should build a business, they just gave him the free reign to do that. And fast forward three years, and what we have today is Dennison. Which is global bank for expats. So in three minutes or less, as an expat, I can open up a local currency account of one in 20 countries. And if you think about what Dennison has done is they've innovated the customer experience. And that allows them to do really interesting things with global remittances, global payments, currency transfers. Steve Gotz: So [00:10:00] a really interesting example of a big, incumbent corporation, like BBVA, saying, we're going to create new ventures, we're going to put structures in place to allow us to build things that probably wouldn't be possible inside of the normal organizational structures. So that's BBVA. Steve Gotz: Standard Chartered Bank is doing something similar in Hong Kong with their digital bank there. They just recently received their digital banking license from the regulator, so that's an interesting experiment. Steve Gotz: [00:10:30] In the UK, RBS has done really interesting things with S&Me, which is their small business lending platform. So there's a lot of examples and I think what's at the center of all of these examples is corporations coming together with partners to launch new things. Steve Gotz: And I think the opportunity for dVault and dVaults customers is to come together and say, "how do we create new experiences, right? How do we take a few bits of the interesting capabilities that dVault has, sprinkle [00:11:00] in a few bits of the interesting relationships that your banking clients have, to create a new kind of customer experience? That delivers value." Amy Lombardo: Right and you know we think it's always about the touchpoints that a consumer has within a day. And if you think about just financial transactions, it isn't just this one-to-one, I'm going to a bank, I'm taking out cash, I'm depositing checks. Whatever it might be. Amy Lombardo: It's that you touch [00:11:30] transactions in so many different sets through a day, so how is it that bank can complement that. Amy Lombardo: And provide you with a seamless experience. And those examples that you gave are spot on to that. I love the one about the expat because that could be something that's so laborious, challenging for a consumer, but the bank is adding value there. Steve Gotz: Yeah, absolutely. Right. And if we step back a little bit and kind [00:12:00] of think about what's happening here, it's the replatformification of the bank, right? We're creating new ways for the bank to be consumed by customers. Steve Gotz: At a fundamental level, fluctuation doesn't matter for the customer. The customer doesn't really care if you're using distribute ledger or cryptocurrencies to clear the transactions on the back end. They care about what's the experience. And are you making my life easier. Steve Gotz: And I think Dennison's a really good example of solving a very complex problem [00:12:30] in an elegant way. Amy Lombardo: Exactly. Can I get an immediate access to cash? Can I get an immediate access or, you know, what I need to live my life, right? Steve Gotz: Yeah. Yeah. And what's really... What I find interesting about Dennison is everybody talks about the unbundling of the bank, right? And transfer-wise, it's often one of those perfect examples that people cite, that you've basically decoupled international payments of remittances from the bank. Steve Gotz: [00:13:00] What we're starting to see with Dennison is a replatformification, we're rebundling the bank in new ways that the consumer can then consume. Amy Lombardo: Got you. Touching on that, unbundling, almost like a macro, [inaudible 00:13:14] talked about it so much in our business models. Steve Gotz: Yeah. I think this is a good/. it's good area for you guys. Amy Lombardo: Okay, so let's say, I'm Mr. Banking Executive and I'm sitting here, and I'm scratching my head saying, "gosh, I [00:13:30] don't know where I need to breakthrough and transform my business. I'm stuck," and I go to you, Steve, or you know the partners that you work with. Amy Lombardo: How do they begin this process? Steve Gotz: So I think there's a couple of points I'd like to make. And so I think the first one is so a general observation, and this isn't restricted to the banking industry, but corporations in general, have a hard time knowing what they have and knowing what the opportunities are. And that's not because [00:14:00] they're deficient, it's just the nature of human biases. Right? Steve Gotz: When you work at the same place, in the same industry, for a long time, you start to see things in a certain way. The way you break out of those biases is to bring in people with new perspective. Bring in organizations with new perspective. Steve Gotz: So I think the first place to start is increase the aperture of your conversations, right? Don't spend time with your peers. Spend time with organizations and executives [00:14:30] that are different from you, right? Steve Gotz: So we spoke about cement and banking, there's a lot that can be learned there. So the first thing I would encourage executives and your listeners to do is increase the aperture. Look beyond banking for opportunities to be innovative. Look what's happening in the retail space. Look what's happening in the food and beverages space. Because I think there are things to be learned there. So that's the first thing. Steve Gotz: The second point I'd make in terms of [00:15:00] how to get started is really related to where does innovation live within the corporation? So there was an interesting study a couple years ago where they looked at risk among banks. And what they found was, after a bank appoints a Chief Of Risk Officer, the organization tends to take more risks. And the observation there is, when a job becomes somebody's [00:15:30] function, somebody's role, responsibility now lives with that person. Right? So we now have a Chief Risk Officer, so they're going to manage all of the risk so the organization tends to adopt slightly riskier behaviors. Steve Gotz: Now, where this is interesting is with innovation because innovation is everybody's responsibility. Including the CEO. So I think an important take away from this is everybody from the top down and bottom up in the organization [00:16:00] is responsible for doing new things. Steve Gotz: Now the nature and scope of what those innovative things may change, may look different, but everybody needs to have a hand in how do we think about doing new things and creating new experiences. Particularly the CEO and the board. Especially when it comes to new things that are potentially really big and disruptive. Amy Lombardo: I love that thought. So, I'm taking away from this, look outside your industry and everyone is an innovator. Steve Gotz: [00:16:30] Yeah, exactly. Exactly. Innovators just don't live in Silicon Valley. Steve Gotz: They live everywhere. Encourage them. Amy Lombardo: Right. I think this is a good place to wrap up the discussion. Steve, it's a pleasure to have you on and join us on Commerce Now. Amy Lombardo: And thank our listeners for joining. Amy Lombardo: So if you've got questions, feel free to reach out to Steve. Either via LinkedIn or via Twitter at @SteveGotz. Keep checking in on iTunes or however you listen to your podcasts for new topics [00:17:00] on COMMERCE NOW.